Wine has been at the heart of Davy’s since it was founded by Francis Edwin Davy in 1870. Our unique relationships with the world’s finest wine makers and Châteaux go back five generations, and we still select, ship and store our own wines. As we are totally independent, we have the freedom to be very selective about the wines we offer. We expect them to be well made and good value, but also look for something special; an indefinable quality that, in our view, lifts them out of the ordinary. You can enjoy our wines in our Wine Bars, or at one of the many tastings we arrange throughout the year. Wines can be purchased for home delivery here online or from our Wine Shop in Greenwich. We also offer storage in our own Victorian cellars at Greenwich, free parking is available. 1870 FE Davy opened the Rising Sun in the Strand, known as a wine house. Several more establishments followed. Growing wine sales to west end hotels led to wine merchants head quarters being established in Barking below the Spotted Dog wine house. 1902 Rising Sun demolished. Other wine houses and wine shops thrived. Davy’s own labels introduced for wines and spirits. Davy’s in addition to purveying wines and spirits, became noted shippers of bulk port to the UK. Under the leadership of SJE Davy the business survived the war years. A number of premises were lost during the war leading to additions outside London such as the White Hart Hotel in Exeter (owned and run by the Davy family from 1943 to 2000). Customers had to bring their own glasses during the war. Wine Houses, Wine Shops, Wine Merchants with also some agency business. 1964 Birth of the Wine Bar, thanks to 4th generation John Davy. He opened the Boot & Flogger near London Bridge offering a wide selection of fine wines served by the glass, accompanied by a quality selection of food such as cold cuts of meat and fish, pates, and cheeses. 1970 Davy’s Wine Merchants moved from Barking to Greenwich as wine interest via Wine Bars grew and larger premises were required. 1970’s wine shops sold to allow concentration on openings of Davy’s wine bars in the City of London. 1980 Wine Bars expanded into West End of London starting with newly refurbished Covent Garden. 1985 Davy’s Wine Shop opened by the cellars in Greenwich as customers queued to buy Davy’s own label wines. 1990 Despite ever growing competition, expansion continued as Davy’s offer of simple quality fayre with good wine and excellent service was very much in demand. James Davy Chairman 5th generation. 1997 The wine merchanting side of the business that had been committed to supplying Davy’s Wine Bars for over thirty years branched out again, expanding online retailing and direct sales, adding a private cellars division, offering en primeur and growing fine wine sales to blue chip institutions. Despite ever changing fashions Davy’s Wine Bars maintained the Davy family values of excellent wines, quality food and outstanding service. Mostly in the Victorian style as FE Davy would have known, but also adding some contemporary Wine Bars. Our purchase and procurement favours small to medium family owned producers and suppliers focused on quality, service and the next generation. Our approach to suppliers is to forge medium to long time relationships built on mutual respect. By preference food is sourced from the UK and by season where appropriate. We work with our suppliers to reduce the number and frequency of deliveries into each of our outlets. Animal welfare is important to us, all animal products sold by us are British and to red tractor standards as an absolute minimum. In addition all pork is free range, all beef and lamb is grass fed and naturally reared, all chicken and eggs are free range. Fish is purchased exclusively from sustainable sources with all wild fish caught in British waters and landed at British ports. As far as is possible all fruit and vegetables are seasonal and British grown. We hate waste and landfill above all so we work with our refuse company, monitor waste and ensure that everything that can be recycled is. The packaging of food products is kept to a minimum and recyclable at least but reusable by preference. 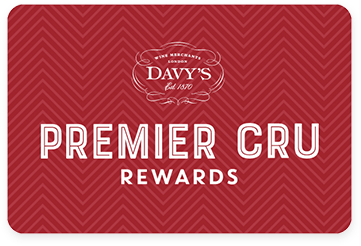 All paper used in Davy’s is either recycled or FSC certified. In 2014 we joined the Sustainable Restaurant Association and based on their assessment they awarded us a Two Star Sustainability Champion rating. We continue to work with the SRA to maintain and improve our systems and standards.